While many personal injury claims result from a wide variety of accidents, they often range in severity from a few minor bumps and bruises to cases where the victim is permanently disabled and can no longer contribute financially to their household. At BLFON Personal Injury Lawyer we represent clients who have been injured in a number of accidents ranging from dog bites to the more catastrophic and debilitating injuries. In many cases, we see negligence on behalf of the defendant as the primary culprit. Our Collingwood, North Bay, and Sarnia personal injury lawyers know how injury victims can be overwhelmed by the trauma they have experienced. These circumstances can not only devastate a person physically, they can be emotionally and psychologically traumatic as well. The last thing an injury victim needs is the confusion and frustration of having to deal with a mountain of paperwork and a myriad of questions. 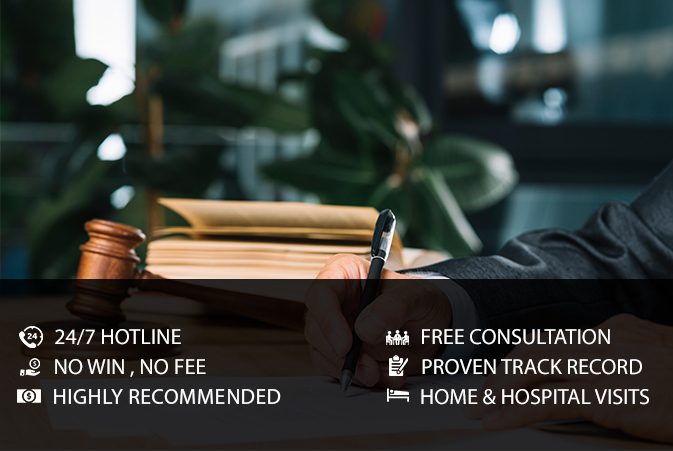 The BLFON Personal Injury Lawyer will relieve your stress and worry so you can focus on what is most important – recovering from your injuries. And we’ll take care of the rest. In many personal injury cases, the injury victim is confronted by an ever-increasing number of expenses. Unfortunately, the insurance companies rarely have your best interests in mind when it comes to compensating you for your injuries. They will do anything in their power to protect the company’s bottom line. Just like other businesses, the insurance companies are out to make a profit, too. Furthermore, in those cases where the defendant’s actions or behavior are deemed careless, negligent, or outrageously egregious, our personal injury lawyers will seek punitive damages on your behalf. For more information regarding how we can help you, please contact the BLFON Personal Injury Lawyer at your earliest convenience.